The Desk = the combined Circulation, Reserves, Student IT and Reference Desk project marking the organizational combining of Circulation/Reserves and Reference/Instruction into one department 1 year ago. Here is a little video to give you an idea of what’s coming. Progress has been made: electrical and data drops are almost finished, the neon ASK ? sign has been moved. Soon the RefDesk will move into the space marked by the masking tape in the photos below. Stay tuned for more developments. The hard work of many people is getting ready to pay off. If you’ve been in the Library since February, you might have noticed signage: “Shifting Project: Where Materials are Today”. Library staff and student assistants, some hired specifically for this project, have been moving and separating 4 floors of books [general collection] and bound periodicals, into 1 floor [basement] of bound periodicals and microfilm and 2 floors [2nd and 3d] for books and classified DVD/VHS. What didn’t move at all? Government Documents [Lower Level] including Gov Doc microforms and TMC/Children’s Books [2nd floor], and 1st floor collections [Reference & Browsing]. EVERYTHING ELSE has been moved and moved again. The general book collection now begins on the 2nd floor, with call numbers from A-LB, and then continuing upstairs to 3d floor, with LC-Z. We’re still not quite finished with moving books from the Basement & Lower Level to the 2nd floor and moving Periodicals from the Lower Level and 2nd floor to the Basement, but it’s getting closer and closer to the end. 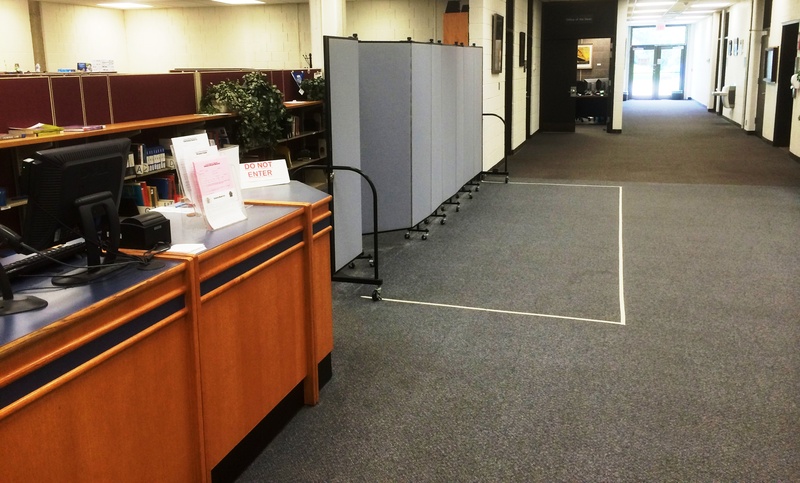 We publish and post “Current Materials Locations” every 2-3 days and post them all over the Library; half sheets are available for customers to take. 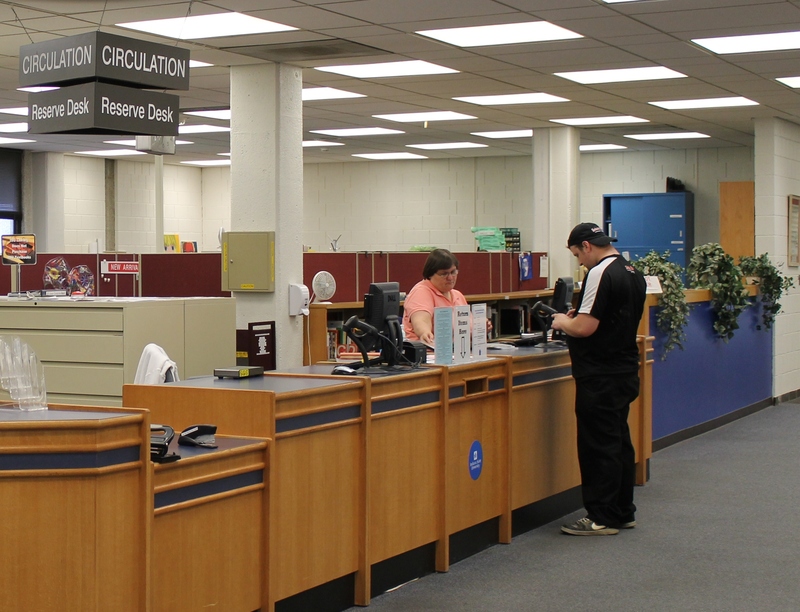 We’ve even got some maps of the Basement and 2nd floor at the Circ and Reference Desks, so don’t be dismayed – if you need further assistance, Circulation students have been especially assigned to help individuals get to the materials they need. When it’s all done, I’m sure we’ll have a celebration and acknowledge everyone involved, but for now, an anonymous but heartfelt GOOD JOB EVERYONE goes out from the blog to the movers and shifters, and regular staff who help get people to the materials they’re looking for. This week the library staff begins a long process of implementing the recommendations of our Building Committee. We are going to be making major changes to our collection and floor layout between now and next summer. The First Floor is getting the initial makeover as the Writing Center and Browsing Books will be relocated. But first, we have to move some microfilm. 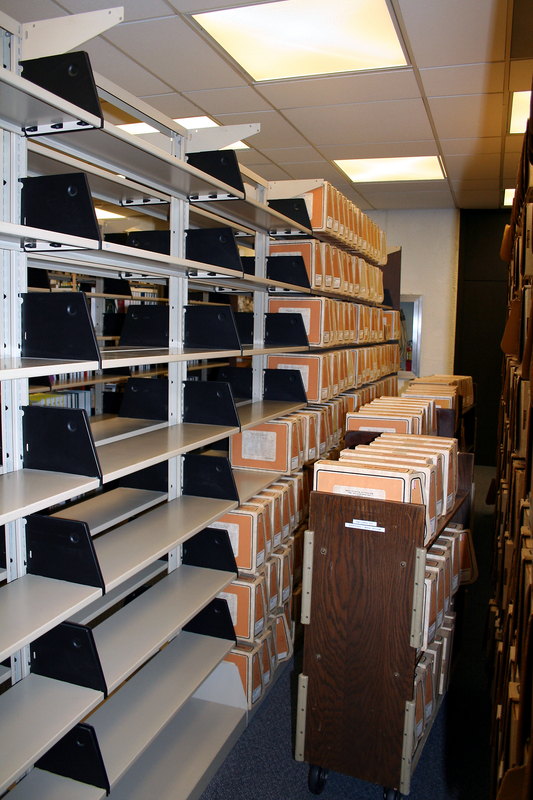 This microfilm archive of newspapers and journals stored in the Reference Section is heading down to the Basement. Eventually, all microfilm, microfiche, and micro cards will be housed in the Basement. Keep checking in for more move updates.